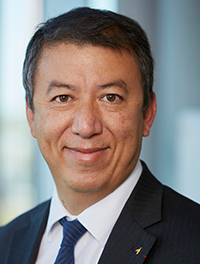 Cologne, Germany, 2018-Apr-24 — /Travel PR News/ — The Management Board of the European Aviation Safety Agency announces the re-election by a unanimous vote of Patrick Ky (50) as the Agency’s Executive Director for a second term of 5 years. Patrick Ky declared: “It is an honour and privilege to have been entrusted with the inspiring role of leading EASA for the next 5 years. Later this year a new scope of activities for the Agency will be adopted by the EU. In parallel, the aviation industry is transforming at a faster pace than ever before. These are among the very exciting challenges that EASA will be faced with and that I am looking forward to take up with the support of the highly professional staff of the Agency”. Pekka Henttu, Chairman of EASA’s Management Board commented: “The full support of all the Member States and the Commission indicates in Patrick’s re-election that EASA’s heading is the right one. Patrick is the best man for the job. He has demonstrated a great sense of leadership over the last 5 years to position EASA as the pivotal element of the European Aviation System. I look forward to continue working closely with him during the next 5 years”. The European Aviation Safety Agency (EASA) is the centerpiece of the European Union’s strategy for aviation safety. Our mission is to promote and achieve the highest common standards of safety and environmental protection in civil aviation. Based in Cologne, the Agency currently employs more than 800 experts and administrators from all over Europe. The EASA Management Board is composed the Directors of Civil Aviation of the EASA Member States and the European Commission. The Management Board is responsible for the definition of the Agency’s priorities, the establishment of the budget and for monitoring the Agency’s operation. This entry was posted in Airlines, Airports, Travel, Travel Management, Travel Regulations and tagged European Aviation Safety Agency, Patrick Ky, Pekka Henttu. Bookmark the permalink.